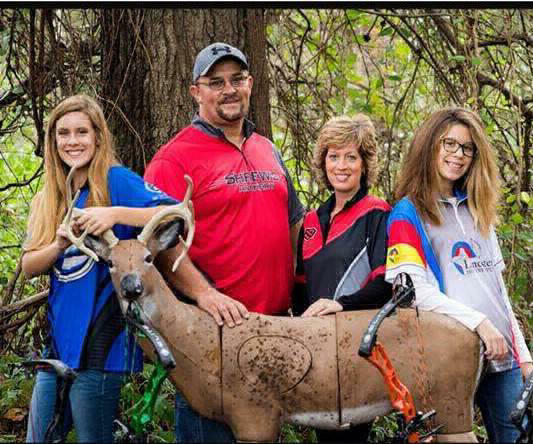 Williamsburg, KY – Scholastic 3-D Archery is pleased to announce Jim Sharp as the new S3DA Illinois State Coordinator. Jim is a businessman having owned his own business, Sharp’s Stone & Concrete, for over 20 years. He brings a wealth of management experience into the position as well as archery and coaching experience. Jim’s goal is to get more schools and clubs involved in archery and to create more structured practices for the kids allowing them the opportunity to develop more refined archery skills. Jim will oversee all aspects of the S3DA program in Illinois, including tournaments, trainings and designation of regions that will allow S3DA participants multiple monthly competition venues as close as possible to their home location. The state of Illinois is currently divided into six regions. As the Illinois State Coordinator, Jim plans to seek more involvement from Illinois Regional Coordinators. He would like for the Regional Coordinators to add two new clubs/teams annually and host one basic instructor class per year. Jim is a very out-going person and has been married for 23 years to his wonderful wife Sheri. They have two daughters Jalyn, 17, and Jerzi, 13. Jim and his family are very active in the S3DA program. He is a current coach of the NCOE Archery team which has 55 student members and he is also a coach for the White County Archery club which has approximately 18 kids. Jim helped to orchestrate the opening of the local indoor archery range in Carmi, IL, which is a venue where practices and Regional Tournaments are held. The range is also open to the public.